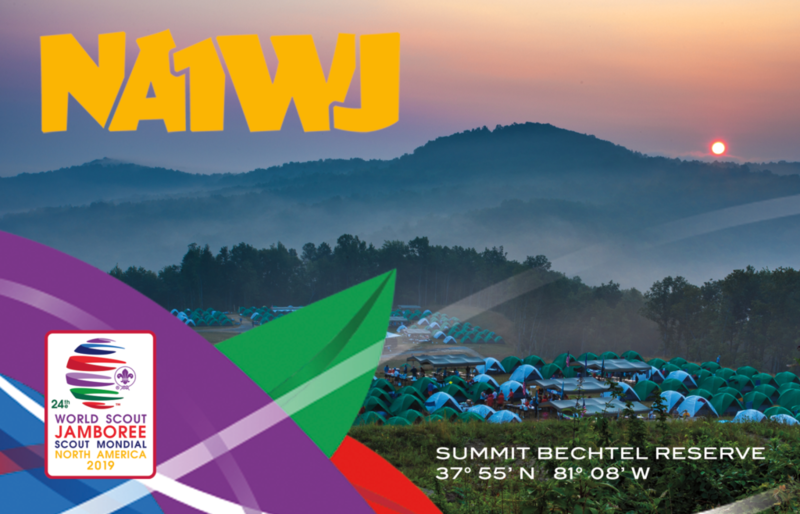 The World Scout Jamboree will be active from 22 July to 1 August 2019 from the Summit Bechtel Reserve in West Virginia. It is hosted by the North American team of Canada, Mexico, and the USA. Since this World Jamboree is being hosted by North America, we've selected the call sign NA1WJ — representing North America's 1st World Jamboree. 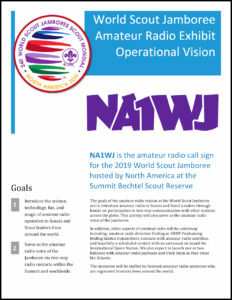 You can also find the current edition of the operations plan at NA1WJ World Jamboree Operations Plan. Get on the air and help out. Plus, here's the QSL card that we will issue after the Jamboree.